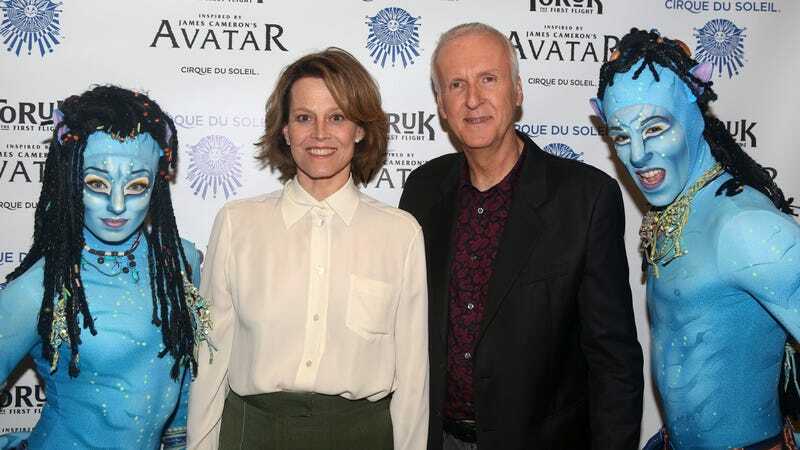 Surprising pretty much no one, James Cameron’s Avatar franchise is about to become one of the most expensive series of films ever made. Variety reports—as part of a longer conversation with 21st Century Fox’s Lachlan Murdoch—that the company has apparently budgeted more than a billion dollars for Avatars 2, 3, 4, and 5. Murdoch didn’t give an exact number, but even at $250 million per film, Cameron’s new movies will be sitting just behind their predecessor ($265 million after adjustments for inflation) on the list of the most expensive movies of all time. Put together, meanwhile, and they’ll easily blow past the competition for most expensive back-to-back shoot (Peter Jackson’s Hobbit trilogy, which cost $623 million). Not that Fox seems shy about the spending; after all, the original Avatar brought in nearly $3 billion at the box office, the kind of returns that presumably make a little sticker shock on the sequels pretty easy to ignore.